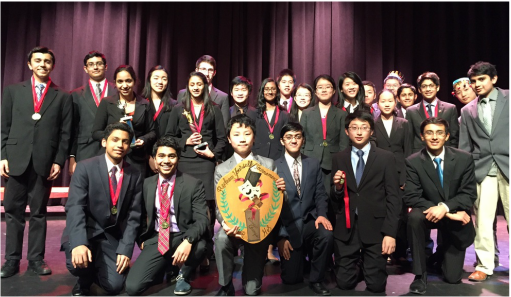 ​Congratulations to all NSDA qualifiers! Congratulations to all NCFL qualifiers! Congratulations to all TOC Qualifiers! Albert Wen - Varsity Public Forum Debate - Top Speaker!! Bell Award - Cumulative Sweepstakes! Congrats to all of the novices who competed this weekend for the first time! 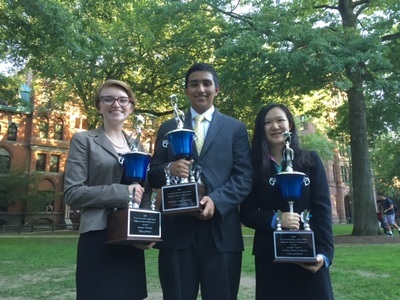 Also, congrats to our other teams Wen & Wu and Li & Jinturkar, both with winning records! School of Excellence in Debate! School of Excellence in Speech! Additionally, congratulations to Albert Wu and Albert Wen for receiving an automatic qualifier to the 2018 TOCs! Congratulations to our NSDA national tournament qualifiers! The First Holy Redeemer Tournament! Congratulations to Vaikunth Balaji for Winning the Montgomery Bell Academy Extemp Round Robin!!! 1st Place Debate Sweepstakes! 1st Place Speech Sweepstakes! 1st Place Team Sweepstakes!!! CONGRATS TO TIM O'SHEA FOR BEING TOP SPEAKER IN PUBLIC FORUM DEBATE!!! Novice Team Sweepstakes 1st Place!!! Overall Team Sweepstakes 2nd Place!!! CONGRATULATIONS TO SALONI SINGHVI FOR BEING TOP SPEAKER IN PUBLIC FORUM DEBATE AT BOTH THE PUBLIC FORUM ROUND ROBIN AND THE NEW YORK CITY INVITATIONAL!!! Ridge High School Excels at National Championship! 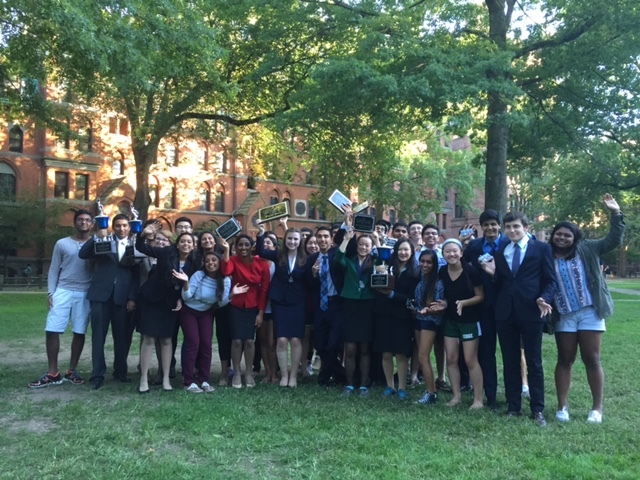 "The Rising, The Rapture, The Rhapsody"
Click here to read an article on our team's success at the 2014 State Championship! Special Congrats to Tim O'Shea for being 3rd Speaker! Special Congrats to Sam Hoffman for 6th Place in Individual Sweepstakes!